Genealogy Form – More Info. 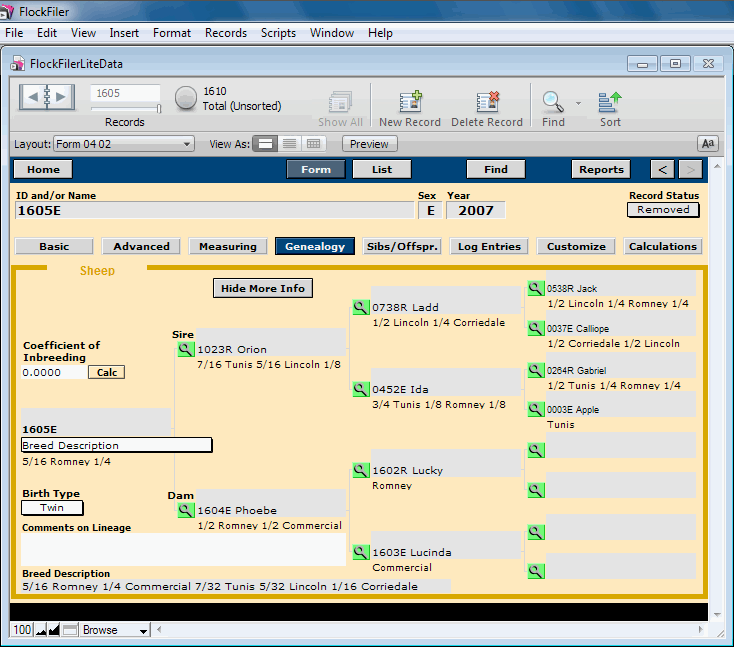 This is an enhanced version of the normal Genealogy screen with a user-selectable piece of information displayed under each entry in the pedigree chart. In this example the "Breed Description" is selected for display. Also on this screen you can have FlockFiler Lite automatically calculate the Wright's coefficient of inbreeding for all of your sheep.